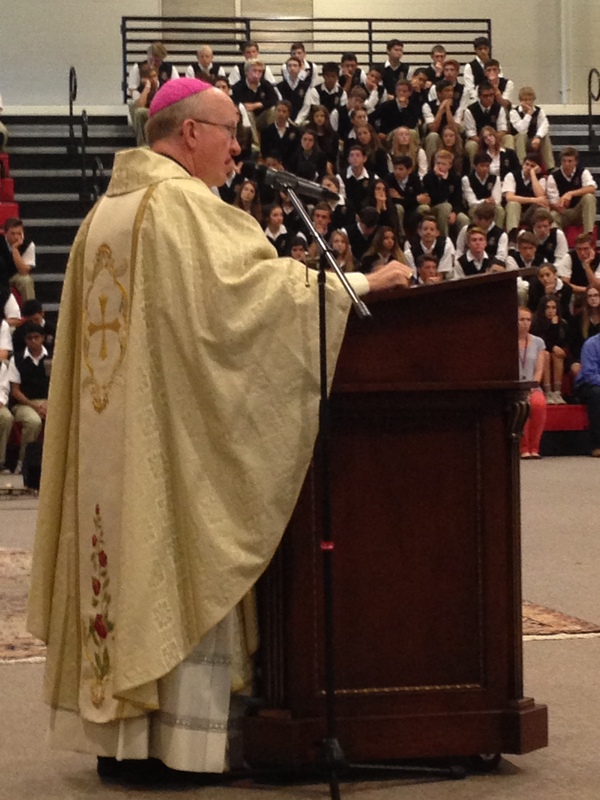 “We are delighted that the Bishop of Orange, Kevin Vann, has visited our Catholic School to address the students, faculty and administration. During his stay he celebrated the Holy Sacrifice of the Mass and blessed our new altar and retablo to be used for our weekly, all school Masses,” said JSerra Chairman, Tim Busch. Following the Mass, Bishop Vann walked through campus and heard more about our students, our accomplishments and the history of JSerra. A special thank you to Bishop Vann and the Busch family for their generous donation of the retablo and altar. For photos from Mass please click here.